They say that sharing is caring, and we love sharing yummy treats with our dogs! However, there are two potential problems with feeding Fido extra snacks. For starters, table scraps can contain ingredients that are safe for us, but dangerous for our dogs (for instance, onions, garlic, and chocolate). Second, too many treats can make our pups pack on the pounds, which can lead to a host of health problems. The good news is, there are plenty of fresh, healthy “human foods” that we can share with our pups, guilt-free. Not only are these items safe for them to eat, they’re usually lower in calories than traditional treats, and they even add nutritional value to their diets! Just remember that moderation is key; produce, especially fruit, contains natural sugar, too much of which is never a good thing. 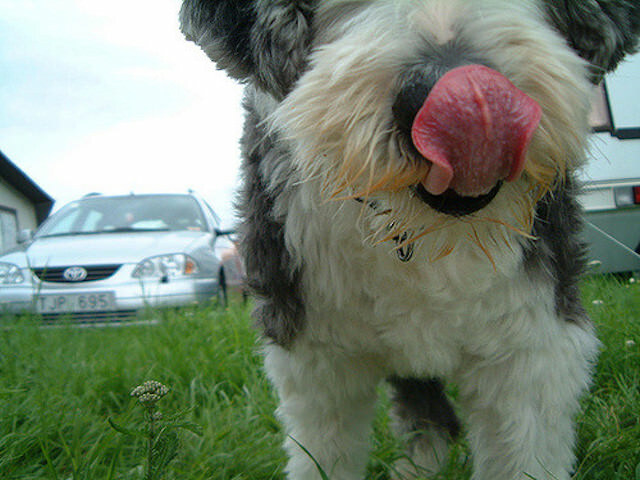 As always, consult with your vet before feeding your dog anything new, especially if he / she is prone to allergies. According to the American Kennel Club (AKC), Modern Dog Magazine, and Pet360, here are 20 perfect produce options to share with your dog! Fresh peach (not canned – too much sugar!) is a delicious snack you can enjoy with your pooch, giving her some extra vitamin A and fiber. Again, stick with slices only; the pit contains cyanide, and should be off-limits to your pup! Talk about the perfect summer snack! Share some watermelon chunks with your furry friend for a hydrating treat that also contains vitamins A, B6, and C, as well as potassium. As with apples, make sure your pup’s portion is entirely seedless and includes no rind. Love the sweet-tart flavor of these little red berries? So does your pup! They contain antioxidants, fiber, manganese, and vitamin C, and as an added bonus, they’re low in sugar and calories. Strangely, they do contain minute amounts of naturally-occurring xylitol, a substance that’s toxic to dogs and typically found in sugar-free foods. 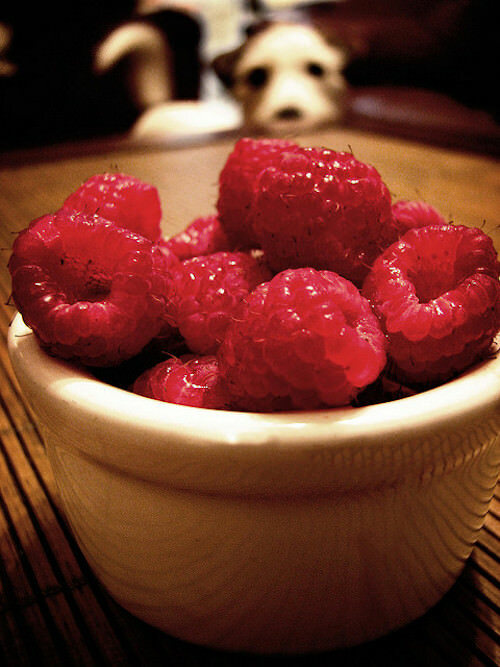 However, the AKC website says they’re safe as long as you “limit your dog to less than a cup of raspberries at a time” (less for small breed dogs). Blueberries may be small, but they’re jam-packed with health benefits for both you and your pup. Considered superfoods, they’re filled with antioxidants, fiber, and phytochemicals. These tiny nuggets of goodness are perfect to use as training treats. Your pup is bound to want a few bites of this yummy, juicy fruit! Providing copper, vitamins C and K, and fiber, this treat may even reduce your pup’s risk of stroke. As usual, make sure the pear pieces are free of the core and seeds before sharing with your dog. This sweet, crunchy treat is a great snack to share with your companion (add a dollop of peanut butter, and he’ll really be in Heaven!). Give your pup a wedge or two for a dose of vitamin A and C, plus some fiber. 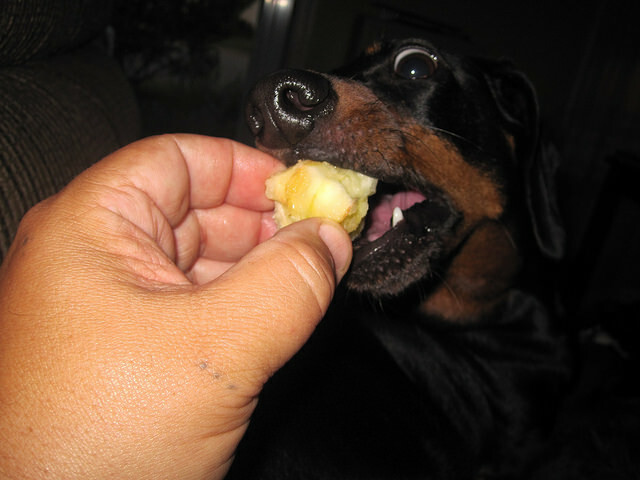 Just know that the seeds in the core are toxic, so never give your dog an entire apple – slices only! With the skin, core, and seeds removed, fresh pineapples chunks (not canned!) make tasty treats for your pup. Along with vitamins, minerals, and fiber, pineapple contains bromelain, “an enzyme that makes it easier for dogs to absorb proteins,” explains the AKC. This tropical treat can be enjoyed by humans and dogs, alike! Containing with vitamins A, B6, C, and E, potassium, beta-carotene and alpha carotene, this luscious fruit is also full of health benefits. As with any fruit containing seeds or pits, only feed your pup the edible flesh of the mango. 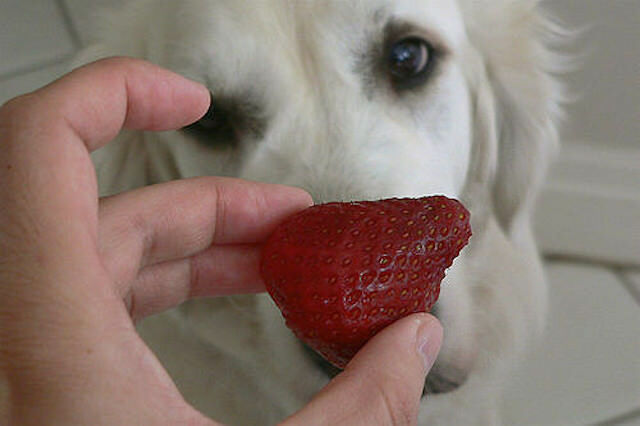 There’s nothing like fresh-picked strawberries in the summertime, and it’s a seasonal snack that both you and your pooch can enjoy together! They contain fiber and vitamin C, but they also have a lot of sugar, so only share a few berries at a time. Soft and sweet, bananas are delicious and easy to eat, whether you have two or four legs. Don’t feed Fido too much, though, as they do contain a lot of sugar. However, the fruit’s potassium, vitamins, biotin, fiber, and copper make it a healthy snack, in moderation. This cool, mild-tasting snack is full of vitamins K, C, and B1, and potassium, copper, magnesium, and biotin. With little calories, sugar, and carbs, it’s a wonderful snack that also supports weight management. Because it’s stringy, celery should be cut up in small, bite-sized slices. However, it’ll give your dog a boost of vitamins A,B, and C, supports cancer prevention, and can even freshen breath! 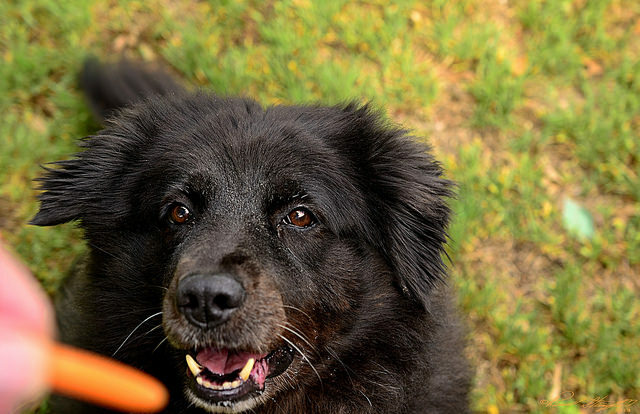 Many dog owners know that carrots are a yummy, crunchy treat for their canine companions! They’re high in fiber and beta carotene, plus they help clean your dog’s teeth as they chew. This low-calorie vegetable is a great replacement for bagged dog treats. Part of the nightshade family, raw potatoes can be toxic. But if they’re boiled, baked, or mashed, they can be shared with your pup, giving him some extra iron. The key here is to make sure they’re plain – no milk, butter, spices, or salt! You may have seen this vegetable in the ingredient panel on your dog’s food or treats, and for good reason – they’re healthy! Loaded with fiber, beta carotene, and vitamins B-6 and C, sweet potatoes should be served cooked and plain, just like their regular potato cousins. 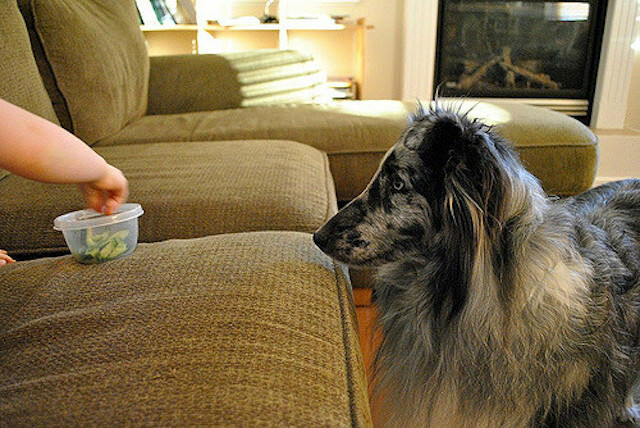 Raw, cooked, or even frozen, green beans make crunchy treats that your pup is sure to love. Offer them in bite-sized pieces for a doggy-safe snack that also provides fiber, vitamin K, vitamin C, and manganese. 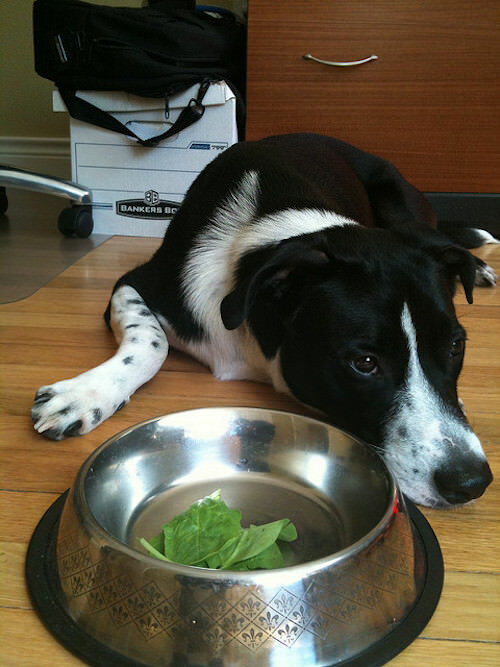 Raw or steamed (and plain), broccoli is great for dogs, but in moderation to prevent upset tummies. They’re high in fiber and vitamin C, and are safest given in small, bite-size pieces containing little to no stalk. Offer your pup canned or cooked fresh pumpkin for a delicious (and often festive) treat! As with all produce, the key here is to keep it plain; canned pumpkin pie filling is full of sugar and spices, so it’s a no-go. However, unseasoned pumpkin is a great source of fiber and beta carotene. Filled with iron and nutrients that support heart heath and fend off cancer, these dark, leafy greens are as good for our pups as they are for us! Because of its high iron content, though, stick to small portions. If fed raw, chop in bite-sized pieces, but steamed (and plain!) is usually easier on the digestive system. Steamed until tender with no added spices or oils, Brussels sprouts can be enjoyed by your pup! (Note that cutting off the hard stock at the bottom will lead to easier digestion.) Containing vitamins A, B1, B6, K, and G, as well as manganese, folate, fiber, and potassium, you should probably make a handful of these healthy sprouts for yourself, too!